On time delivery of quality parts is demanded by customers' zero inventory and just-in-time production programs. To insure our ability to meet this demand, our production control and planning group is in constant contact with our customers. Our planning group meets daily to insure adequate machine time, personnel and raw material to meet these needs. 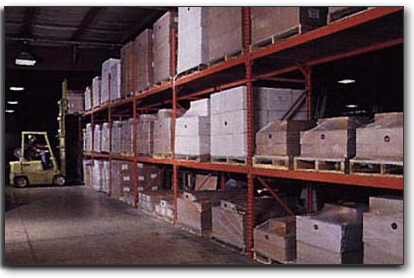 As a safeguard against the unexpected, a large ready-to-ship inventory is also maintained. We also make use of outside professional training facilities such as the Spring Manufacturers Institute (SMI) and the American Society for Quality Control. Communication is an essential ingredient in establishing the proper attitude of partnership between supplier and customer. Our sales and contact personnel are well trained in the techniques of good communication. We are able to provide customers with an immediate response to questions pertaining to scheduling, lead-time, etc. When additional information is required, our policy is to call back within hours. We also inquire about, and offer assistance with, emerging problems and new product design and development. We continually urge our customers to communicate with us in any area of concern.